Baby Isabel Rock made her entrance quite literally Gangnam Style — in the heart of Seoul’s Gangnam — on Thursday, July 9 at 7:12pm. Her stats: 8lbs, 4oz and 21 inches long. She outweighs her sister, who came in at 8lbs, 2oz. 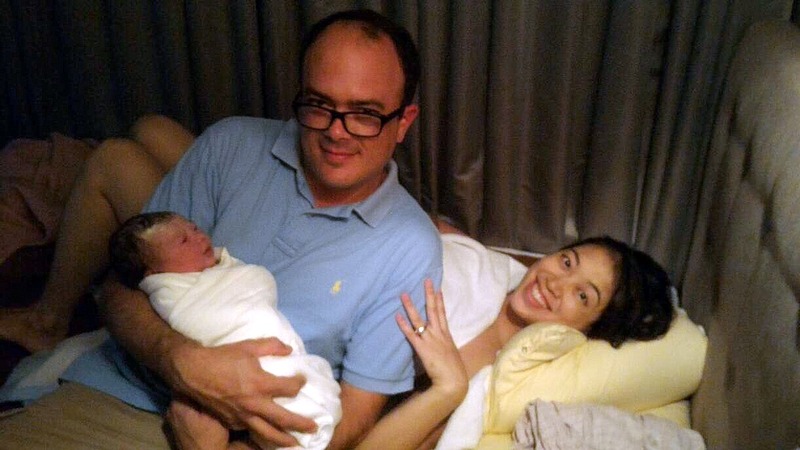 She took a little less time entering the world — Momma labored for 15 hours instead of 17. And she was born into a calm, dimly lit birthing suite at the Mediflower OB/Gyn and Natural Birthing Center, selected partly because the doctor in charge, Dr. Chung, might be the most low key, chill medical practictioner momma had ever met. Isa went home the next morning following her birth. Mom’s observations of the experience are on her blog.